In a growing market DPS Conveyancing software for Case Management can make a real difference. Our conveyancing software can help you reduce your fixed overheads whilst improving the service you provide. Our conveyancing case management software has been created by Conveyancers for Conveyancers. We have full flows for Sales, Purchase and Remortgage work, The system is supplied with over 600 templates that provide a complete solution for the Conveyancing department. Included in our convey software is a full database of contacts to reduce the need for data entry and get rapidly up and running! All of our supplied templates are ready to use and can be tailored to your own specific needs. This means a practice can pick up our conveyancing software and start working straight away so giving the firm a fast return on investment. The design reduces the time spent on input and checking data on two systems, accounts and case management are literally all in one place. This saves time and give a 360 degree case view. Whether you already work to CQS or want to our conveyancing case management software will help you adhere to good practice management standards. We help you ensure prudent conveyancing procedures, fully confirming to Lexcel and all the Law Society’s requirements. The workflow in our conveyancing software follows CQS protocol stages. When the rules and rates for calculating duties change, we update you. We ensure the system always comply with the latest SDLT regime. 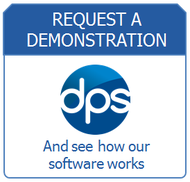 If you would like further information about our conveyancing software, or would like to arrange a free demonstration, please contact us today. Having a fully automated system to manage conveyancing work can save your firm countless time. Time which can be spent on more billable work, opening more cases or improving your work-life balance. Also, the more streamlined and efficient your firm becomes the more profitable you can be. Don’t spend time re-entering data and creating documents that can be achieved at the click of a button.